JBL will open their very first concept store in Davao this coming February 16th, 2018. It is located on the 2nd Floor of SM City Lanang Premier. 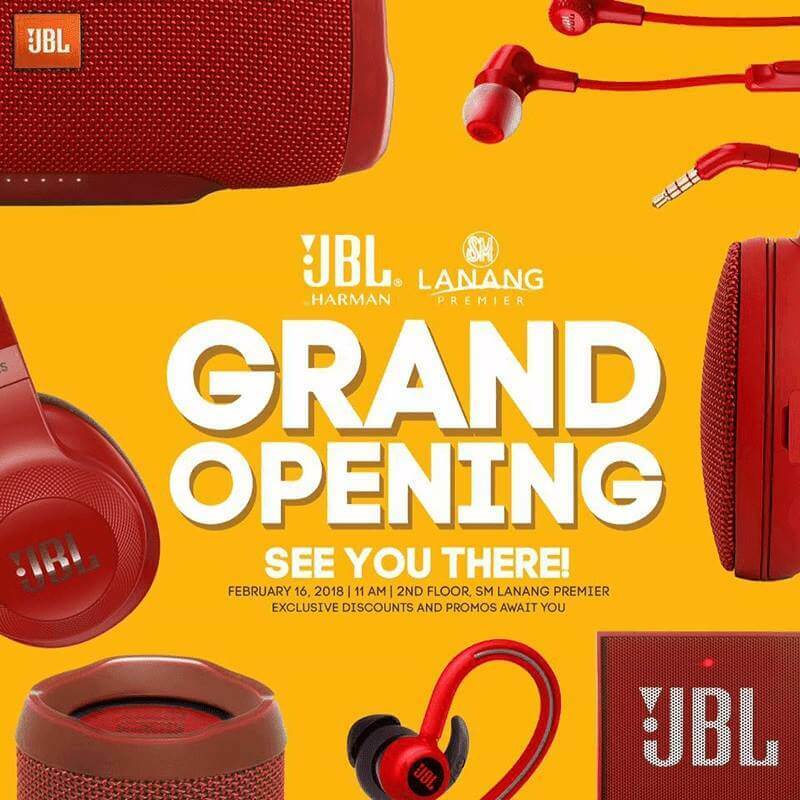 In line with the grand opening, JBL and Beyond Innovations will hold giveaways, special discounts and freebies that are exclusive to the JBL SM City Lanang Premier concept store. They will give away a JBL Clip 2, which is an extremely portable Bluetooth speaker that can attached to your bag or anywhere the clip can be attach. In addition to that, the JBL Charge 3 is on sale for a special promo price of PHP6,700 from February 1st up to February 28th. Moreover, there is also a Day One sale that includes the JBL Flip 3 for only PHP3,500, the JBL Xtreme for PHP11,999 and the JBL Clip 2 with CSI 100 for only PHP3,099. There are also free JBL Shirts up for grabs for every PHP5,000 worth of purchase.